Cold sharp autumn air pushes through your windows just seconds before your 7:30 am alarm awakes you. Hesitant at first, you slowly pull yourself out from under your warm, soft blankets to brace yourself for work. “Just got to get through today,” you say to yourself, dragging your feet room to room. Reaching over to get your keys, wallet, bag, you take the first step to the door until you remember something is missing. You reach down, patting your hips, going down your mental checklist until you turn around to spot it. 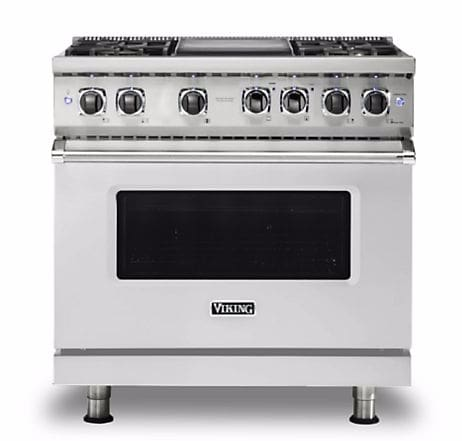 Your steaming hot cup of Joe lonely resting on the edge of your Viking VDR5364GSS 36″ W Dual Fuel Stainless Steel Range. The corners of your mouth curve up as you walk over to your new kitchen. With your sidekick of warmth in hand, you turn, fixating your eyes to the front door. As you turn, the beauty of your kitchen fills your sight. Newly installed Viking appliances surround you. Thoughts of a freshly cooked dinner fill your mind until you are disrupted by your final warning alarm. You rush out the door just in time to arrive to work at 9:00 am. Minutes before you clock out you begin thinking about dinner. “What to make?” you quietly ask yourself. Googling quick recipes to spark inspiration. 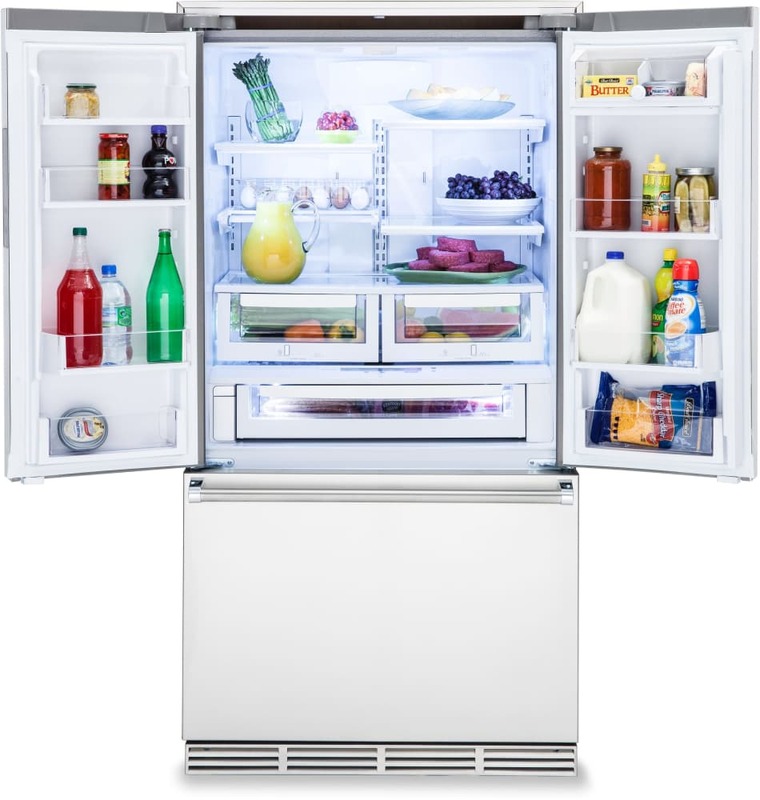 You get wrapped up into all the new dishes you can make without the worry of low space since you went with the Viking 3 Series RVRF3361SS 36 Inch Counter-Depth French Door Refrigerator. Excitement runs through you as you snap out of your daydream to check the clock. You gather your things and return home. You walk in to see your kitchen reflecting the same happiness that is gleaming off of you. In the time that felt like forever, you reach your dream kitchen turned reality, sliding your hands on the smooth surfaces. It finally hits you- what to make. You decide on a one-pan autumn chicken dinner because now you can make it. Grabbing all the ingredients together, you successfully created the perfect fall dinner. It does not end there though. It would not be the perfect fall dinner without a drink. Walking over to your refrigerator, placing both hands on the french doors you are blinded by the white back-splash and the illuminating lights all around. Your eyes search for the perfect drink to pair with your meal. ” Water, no. Soda, no. Apple cid-“. You gasped. “Wine! It would be perfect!” You look over to your cabinets, you move around those bottles you bought from the supermarket. You want the best bottle for tonight. Now panicking, you cannot seem to find the one. Defeated you walk back to the table. “It would’ve been perfect,” you mumble under your breath. “When was the last time I saw it?” you ask. Miraculously you remember that when you finished your kitchen, you put it in the perfect spot. One that you would remember. “Ironic, right?” you said out loud as you throw your head back in a laugh you walk over to get it. 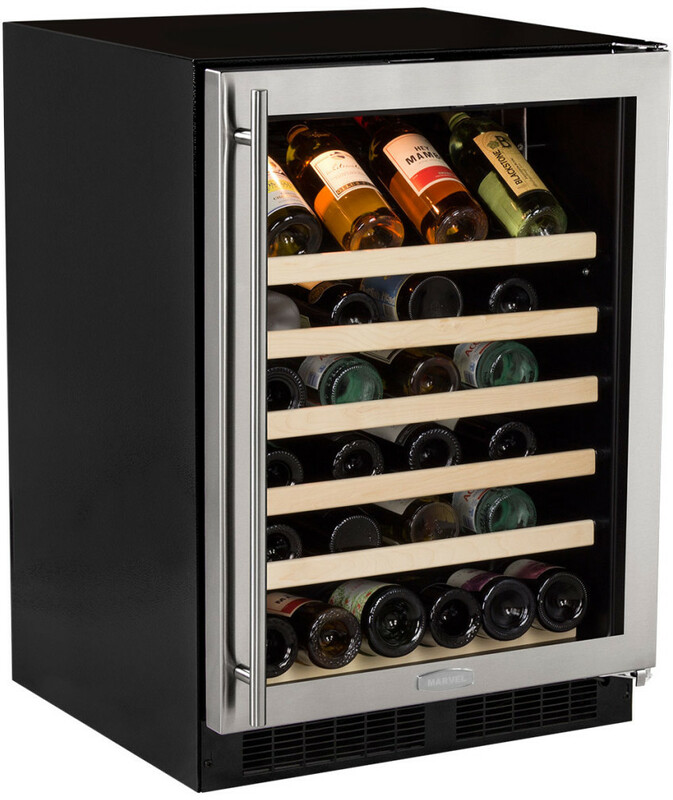 Resting perfectly in its spot, you open up the doors to the new Viking Professional Series VWUI5240GRSS 24 Inch Under-counter Wine Cellar with 40 Bottle Capacity, to pull out your perfectly chilled Montoya Cabernet. You have it all now, the wine, the meal, the appliances, the dream. Making dreams a reality since 1919. Visit our website www.plessers.com for more information.